This is the first paper of my collaboration with the Department of Earth and Space Sciences of Chalmers University of Technology, Gothenburg, Sweden. Several satellites measure the ocean’s surface temperature, so that images can routinely be obtained every two to six hours. Tracking patterns of sea surface temperature from one image to the next is a way to infer surface currents that has been developed in the 1980s but never fully validated. Fig. 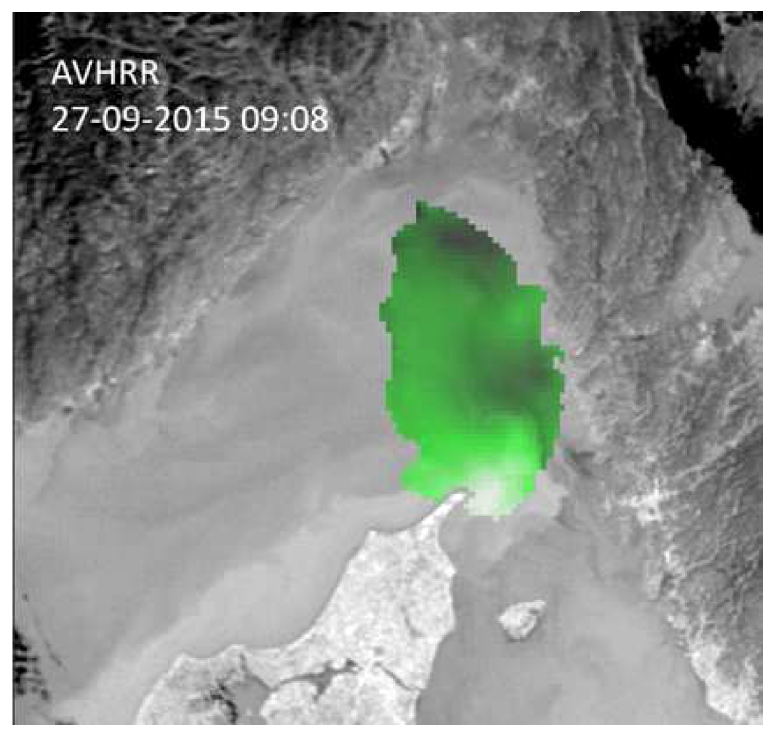 1: AVHRR image of the Skagerrak; green patch is the coastal radar coverage. In this first paper, we report on a validation trial that compares satellite-retrieved currents, High Frequency ground-based radar measurements and drifting buoys, focusing on the Swedish west coast (Skagerrak – Kattegat). The second paper is now published in Remote Sensing and summarised here. The third paper is published in Journal of Atmospheric and Oceanic Technology and summarised here.